Medicare Part D is a little overwhelming when you’re new to Medicare. Taking a few minutes to read these Medicare Part D FAQs will give you the information to make an informed decision. Is Medicare Part D Automatic? Am I required to enroll in a Part D Plan? Who can enroll in a Medicare Part D Plan? How can I enroll in Part D? When can I enroll in a Part D Plan? Are all Part D Plans the same? What is a Part D Formulary? What is Part D Step Therapy? What do Medicare Part D Plans cost? What is the Part D Donut Hole? How do I compare Part D Plans? Medicare Part D is a program enacted by the Medicare Modernization Act of 2003 to help subsidize the cost of prescription drugs and drug premiums for people enrolled in Medicare. Part D became effective January 1, 2006. Prior to 2006 most Medicare beneficiaries were responsible for their drug costs. Plans are available from private insurance companies and are effective for one calendar year. Continue reading to get answers to Medicare Part D FAQs. Is enrollment in Medicare Part D Automatic? No, you must elect Part D coverage. You are not required to enroll in Medicare Part D. If you do not enroll in Part D when first eligible you may have to pay a late enrollment penalty in the future. The Part D late enrollment penalty is calculated by multiplying 1% of the national base premium by how many months you didn’t have creditable Part D coverage. Aside from the potential penalty the cost of paying for your own drugs is expensive. Stand-alone Part D Plans are available for less than a dollar a day. It’s called insurance for a reason. 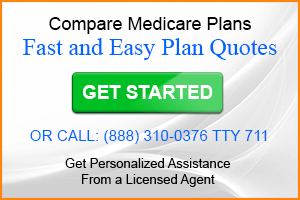 When enrolled in Medicare Part A and/or Medicare Part B you can enroll in a Part D Plan. People 65 and over who are on Medicare and people on Medicare due to a disability are eligible. There are two ways to enroll in a Part D Plan. You can join a stand-alone plan or or join an Advantage Plan that includes Part D coverage. Stand-alone Part D Plans are your only option when you insure with original Medicare or when you add a Medicare supplement policy to your original Medicare coverage. Many Medicare Advantage Plans include Part D drug coverage. These Advantage plans are MAPD plans. The Part D premium is in the overall monthly premium. There are several enrollment periods associated with Part D Plans. The first time you can enroll is when you first become eligible for Medicare. The Initial Enrollment Period (IEP) gives you a 7 month window to enroll. You can apply 3 months before the month you turn 65, the month you turn 65 and the 3 months after the month you turn 65. If you are disability income form Social Security you have a 24 month waiting period before you are eligible for Medicare. Your Initial Enrollment Period also lasts for 7 months. It begins 3 months before your 25th month of disability, your 25th month and the 3 months after your 25th month of disability. The Annual Enrollment Period (AEP) is the time that you can enroll in, drop or switch a Part D or Medicare Advantage Plan. The AEP begins on October 15 and ends on December 7th each year. Your Part D Plan becomes effective on January 1st. Insurance companies can publicize their plans starting October 1st but cannot receive enrollment applications until October 15th. If you qualify for extra help due to low-income. You change where you live. Losing your coverage also qualifies. If you have a chance to get other coverage. All Part D Plans are not the same. Be aware when comparing plans. Plan benefits and can vary among plans. The monthly premium, drugs covered, deductible, co-payments and coinsurance, drug tier placement, pharmacy networks and mail order benefits differ from plan-to-plan. A Part D Formulary is a list of a plan’s covered drugs. Formularies fall into two categories. The are either basic a Formulary or an Enhanced Formulary. A Basic Formulary covers the most common generic drugs and some name-brand drugs common to the Medicare population. An Enhanced Formulary will include those drugs in the Basic Formulary and many name-brand drugs. Formularies do not include all drugs. Of all the Medicare Part D FAQs the question on the Formulary is one of the most important. If a plan doesn’t cover your drugs it’s not a good plan for you. Part D Step Therapy is a process where a Part D Plan requires you to try an equally effective but more affordable medication first (step 1) before authorizing the prescribed medication (step 2). This is a measure to control costs. Your provider can file an appeal if merited. 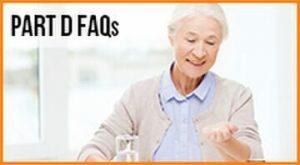 This is the most popular of all Medicare Part D FAQs. But the answer is not an easy one. If the question was about the monthly premium finding an answer is as easy as clicking your computer mouse. Part D premiums can range from the mid-teens to over $100 per month. The drugs covered, out-of-pocket costs and deductible all factor into the premium amount. But there’s more. When referring to cost you’ll have to consider which medications you take, the drug tiers, the deductible and whether or not you’ll reach the Part D Donut hole. The Donut Hole is another term for Part D Coverage Gap. The Donut Hole is met when you and your drug plan have spent $3700 (2017). While in the Donut Hole there is a temporary limit on how much your drug plan will cover. While in the Donut Hole you will pay no more than 40% for name-brand drugs and 51% for generic drugs. Some Part D Plan offer a greater benefit while in the Donut Hole. Comparing Part D Plan is a lot of work unless you start with a list of your prescription drugs. Don’t make the mistake of choosing a plan based on monthly premium alone. A plan that does not include your drugs could be more costly than the plan with the highest premium. Now that you have reviewed the Medicare Part D FAQs your best option is to compare Part D Plans online using the eHealth website. eHealth can show you premiums for all plans and help you do a comparison. You can even enroll online. 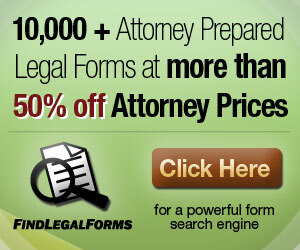 If you need help call (888) 310-0376 toll-free to speak with a licensed agent.